Sony is unquestionably a huge brand nowadays. People just don’t underestimate Sony’s products. Because of that, if you are looking for a decent AV receiver that already supports 4K videos, you should not doubt both Sony STR-DN850 and Sony STR-DN1050. The two are Sony’s 7.2-Channel 4K AV receiver models that are immensely popular among customers who plan to build their own home theater. Nevertheless, lay people tend to get confused when having to choose between these two models. Sony STR-DN1050 is quite significantly more expensive than Sony STR-DN850, but we don’t want to miss any crucial upgrade, do we? So, to make sure that we make the right purchase, we should determine first what are the differences between Sony STR-DN850 and Sony STR-DN1050. 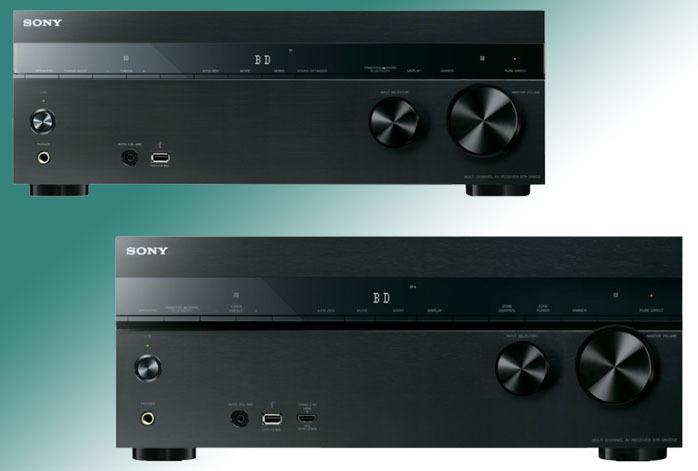 If you put the two models side by side, you will immediately notice that Sony STR-DN1050 is bulkier than Sony STR-DN850. It is somewhat bigger overall, several centimeters taller and deeper, and is heavier, too, so make sure that you can accommodate the device in your home theater. Most probably, this is because Sony STR-DN1050 houses larger, more powerful internal components, because Sony STR-DN1050 has a stronger audio output than Sony STR-DN850. Tell you what, Sony STR-DN1050 can generate 100 W of power per channel for all the seven channels, with two channels driven. Sony STR-DN850 can only produce 95 W per channel, also with seven total channels with two channels driven. Thus, Sony STR-DN1050 can sound significantly louder without losing solidity, accuracy, and details. Related versus: Sony STR-DN1050 Vs STR-DN1060. While both models indeed possess a lot of similar specifications and features, both are powered by Dolby Digital and DTS, Sony STR-DN1050 comes with multi-room audio/video support, while Sony STR-DN850 does not. You can use the device to split audio and video channels to a separate room. This is handy if you want to build a larger system across your home. Also, Sony STR-DN1050 comes with more ports available than Sony STR-DN850. The device has audio-video inputs, 1 audio only input, 2 component video inputs and 1 output, 2 optical digital inputs and 1 output, 6 HDMI inputs and 3 outputs, 2 subwoofer outputs, 1 main speaker output pair, plus 1 Ethernet and 1 USB ports. Both models support Wi-Fi and Bluetooth connectivity. The only real practical reason of why you should choose Sony STR-DN1050 is the multi-room audio/video support. If you want to build a multi-room home theater, then Sony STR-DN1050 is certainly the way to go. Another reason is if you have a big room, where 100 W stereo RMS power is needed. Otherwise, Sony STR-DN850 is enough for most people.